The superfood drink, organic Beetroot Juice is great for the heart and for a healthy lifestlye and you'll be surprised at how good it can taste! James White blend fresh beetroots with apple juice, to make a sweeter, tastier juice that's good for you and for your tastebuds. Naturally rich in iron, boron, folic acid and antioxidants, beetroot juice certainly deserves all the praise it receives as a superfood, which is why it's one of our most popular products. A single glass of beetroot juice is an excellent way to get one of your 5-a-day, and can help reduce blood pressure. Suitable for vegans and gluten-free diets. Best served chilled. "If you're not familiar with our juices, be brave and try them out. You will not be disappointed!" 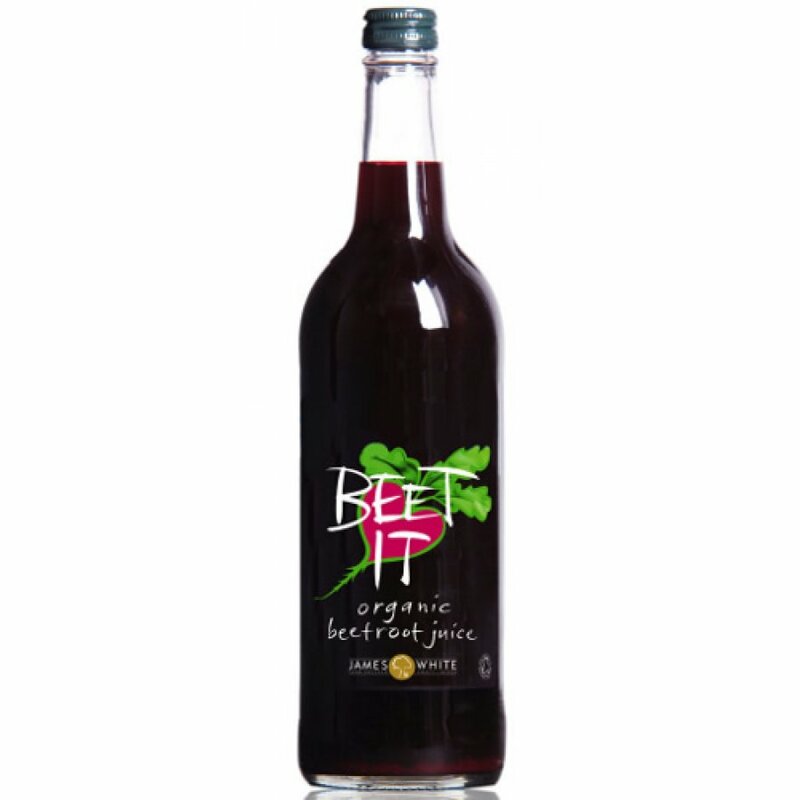 The James White Organic 'Beet It' Beetroot Juice 750ML product ethics are indicated below. To learn more about these product ethics and to see related products, follow the links below. Whilst this does the job if you can't make your own juice, it does have a rather medicinal after taste. A very good product. Excellent service. Q: Is this beetroot juice lacto-fermented .... or not? Thanks. A: This beetroot juice is lacto-fermented. Kirsty. 5 out of 9 found this question and answer helpful.